It looks like Facebook Graph Search is going to be huge for local businesses, so if you run a local shop, café or restaurant it’s time to crank up your Facebook marketing and make sure you are talking to your customers. One of the hardest parts of starting out on Facebook can be knowing what to post. You grab a few minutes in the back room when the shop is empty or pull out your laptop onto the counter and sit with your fingers over the keyboard not knowing what to post. Eventually the shop starts to fill up again and customers need help, so you leave it until later. The good news is that this is not the way it has to be. Putting a posting schedule in place can help eliminate this procrastination and time wasting. It will also help you measure results. A simple word document with the days of the week and what you intend to post each day is an excellent start. Now you need to fill it with posting ideas. Here are some suggestions for posts that work well for local businesses. Choose a few and start to fill in your schedule. A 2012 study by Lab42 showed that the top reason that people like a brand page on Facebook is to avail of special offers and discounts. The inbuilt offers feature allows businesses to share a special promotion on their page. Each time someone claims the offer it is shared on that user’s Timeline so that all their friends can see it. This is a premium Facebook feature but these offers have a great reach and can generate interest in your business beyond the usual reach of your page. Customers who claim the offer are sent an email by Facebook that can be printed or shown to a retailer on a mobile device. This is a fantastic way to directly measure return on investment. The offers are bringing people directly in your door! This may be perfect for some offers but if you have weekly specials or recurring offers there are other ways to promote them. 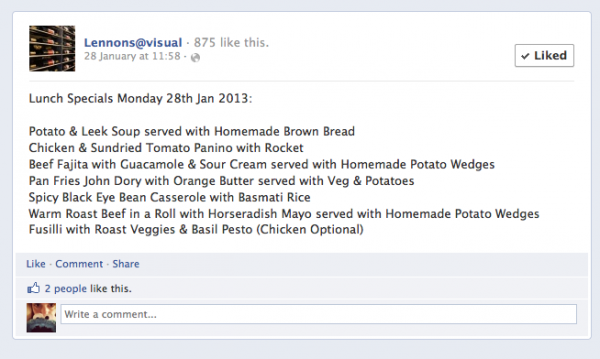 Sharing your specials as status updates on your Timeline can be effective. If you have a weekly offer, customers will begin to expect it to pop up on that day and watch out for it. This can encourage interaction. Some customers will ask you to hold an offer for them until they can get in to the store while others will ask for more info or will share the deal with their friends. If your local business is a café or restaurant, even better. Posting your specials to Facebook just before lunch or late afternoon when people are thinking about dinner is a great way to get bellies rumbling. If you want to prove ROI, you can add a ‘whisper code’ to your update asking customers to say it when they arrive at your store. That way you will know they heard about it on Facebook. 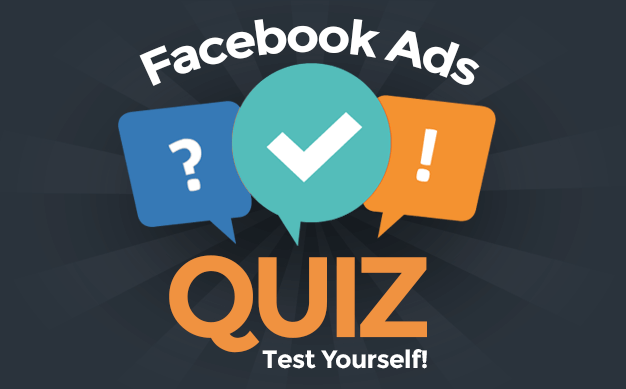 Asking quick questions on your Facebook page will really encourage interaction and give you an insight into what your customers want. It can be as direct as asking what type of product they would like you to stock. Or more general like what time of day they do their shopping. Sit down and take some time to construct a list of questions that you would really like to have answered. Even general questions about your product and service can get a conversation going between you and your customers. You should try and leave an open ended question at the end of every post. I’ve found that relating my own experiences to questions results in more interaction. I also find that posting my questions with poll options as a status update works better than the inbuilt Questions tool on Facebook for getting real comments. Local businesses have traditionally been the heart of the community and Facebook gives us the opportunity to remain there even when our customers are at work in front of their computers or out of town. Sharing community news or something that will resonate with local people encourages more interaction. It also places you at the center of the online local community. 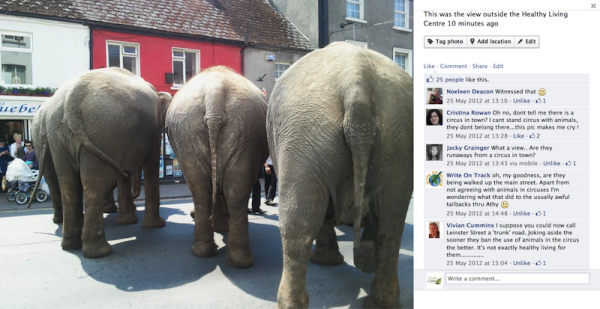 When some elephants arrived in my local town, Athy, the Health Food Shop got quite a discussion going on their page. Every business has something that they are exceptional at. With any luck, you have an exceptional staff and your customer service is spot on. 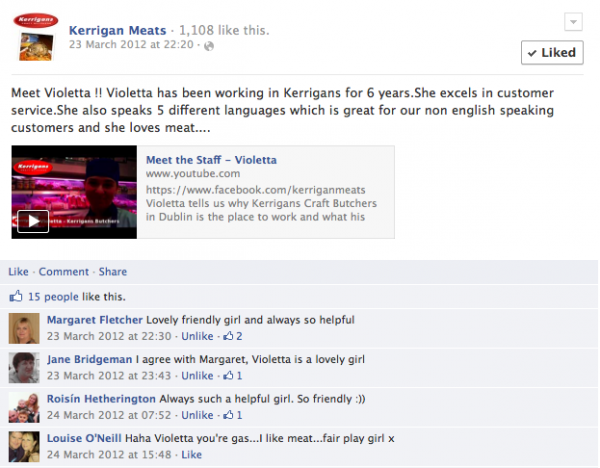 If this is the case, showcasing your staff on your Facebook page is a great way to develop this online. Use photos and video to showcase their friendly faces and their expertise. If you are feeling a little more adventurous, you could design a contest amongst the staff but showcased on Facebook. Customers could get involved by voting for their favorite. What do you sell? What is special about your product? 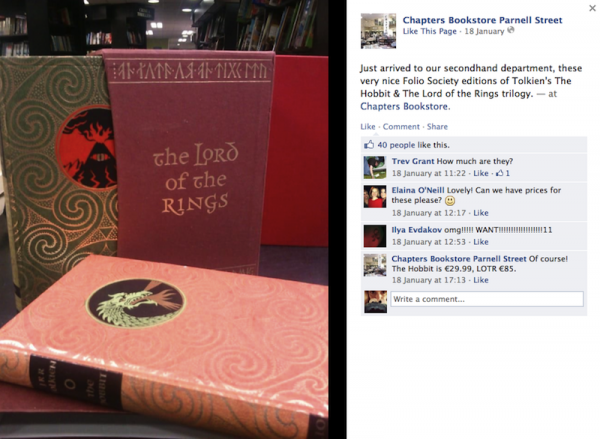 Whether it’s a bag of porridge or a folio edition of Lord Of The Rings, you have the opportunity to make your Facebook page your shop window. Show off your latest stock and entice your customers in with photographs. Is there a story you can tell about your product? Maybe, particularly if you run a food based business, it’s about your suppliers. Can you tell the tale of how the products are made? By telling stories, you are giving your customers something to share and talk to others about. You are giving ammunition to your brand ambassadors, allowing them to promote your business for you. What have I missed? What sort of content do you like to see on your local business pages? Do you have any great examples? Leave me a comment and we can discuss them. Amanda Webb from Spiderworking.com offers social media help for small business. 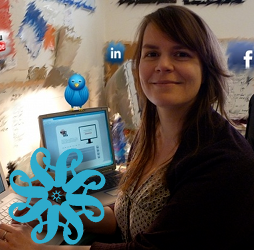 She is also the co-founder of Blog Awards Ireland and is about to launch a new joint project WeTeachSocial.